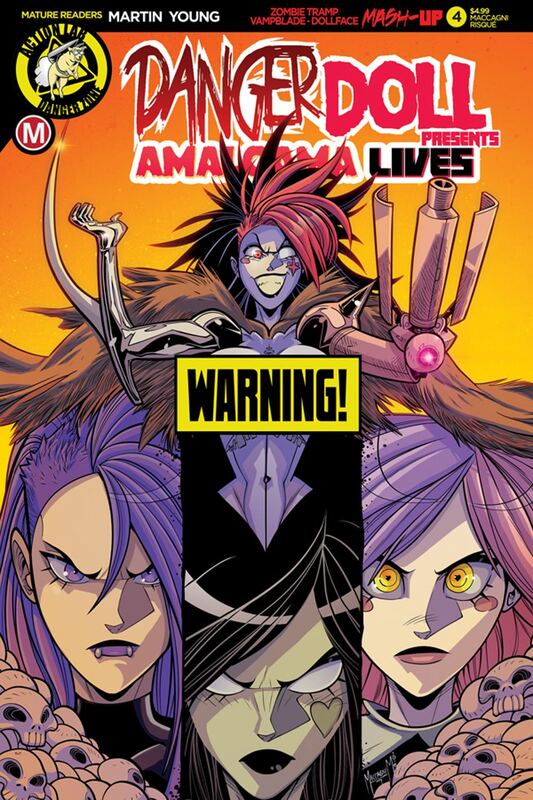 Amalgama faces off with the Danger Doll Squad at last! It's the Zombie Tramp/Vampblade/DollFace mash-up versus the lethal ladies that spawned this cosmic genetic abomination!! If you think you know how this ends... you're wrong!